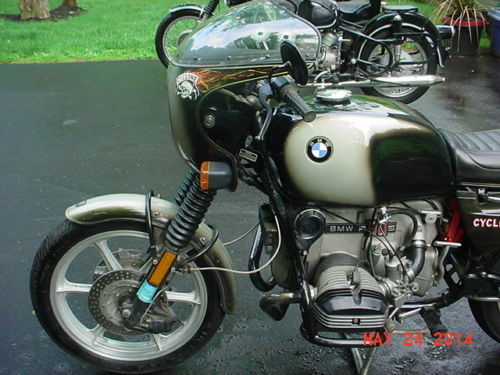 Earlier this week, we featured a very nice R100/7 with a bit of café style that made it look like the earlier R90S, racier sibling of the more conservative “Slashy” bikes. 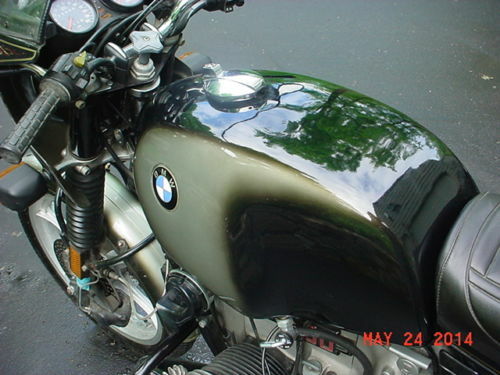 My new term for the R60/2, R75/5, etc bikes. Just made it up: feel free to use it. Japanese bikes of the period routinely blew their European opposition into the weeds in terms of outright power, yet somehow folks kept buying and riding the European marques so often featured on this page. Probably because they lived long enough to buy new ones and all those young hotheads on their Kawasaki H1’s died at the first serious corner they came to. And considering how uncomfortable and uncompromising the Latin racers of the period were, it’s hard to imagine you could have speed, handling, and comfort in one package: introduced in 1974, the R90S placed first and second at the very first AMA Superbike race ever held. Over $ 25,000 dollar today’s money spent by its NASA Engineer owner. 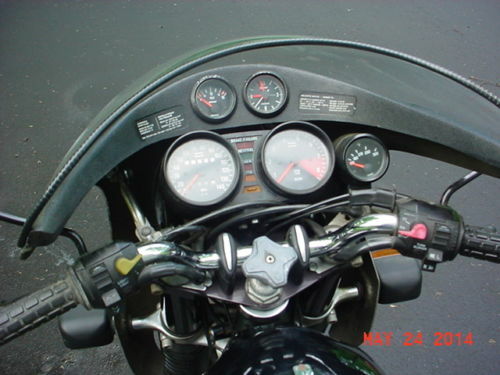 The major improvements include Re-engineered engine, Harden boars & pistons, and the compression is 175 PSI (instead of usual 130 PSI), Dual plugs heads with BOSCH Blue H1 performance ignition coils, DYNA electronic pointless ignition system, PRIDMORE Lighten flight wheel, PRIMORE inlet manifolds on the original DELORTO Cabs, ALPHA BET black chromed free flow 2 in to 1 muffler, BMW Oil cooler & Deep Pan, Porsche designed CPM Magnesium “6” spokes wheels with rear wheel air cooler, enforced swing arm, BMW kick start and new Odyssey Gel Battery, Front fork legs have double braced San Jose fork braces, PRIMORE Springs in the forks and top off with SAN JOSE Triple clamp. San Jose enforced supported swing arm and RENO chromed ride off stand, KRAUSA Engine wrap crush bar, Metzler tires, expensive stainless braded front brake lines. Original tool kit, keys and owner manual are included. 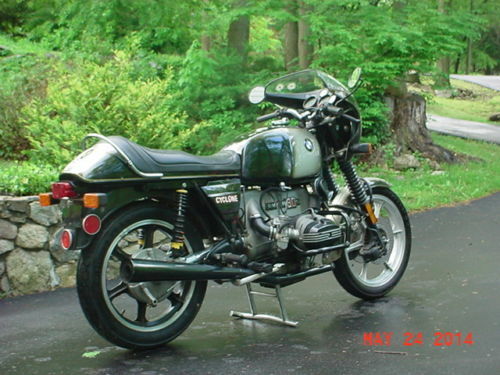 The seller has helpfully included a video: BMW R90S walk-around, start up, and ride away. 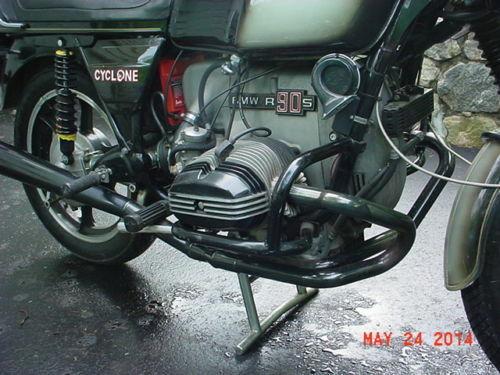 Always happy to embrace unusual solutions, BMW mounted the R90S’ front brake master cylinder below the fuel tank and connected it to the lever via a short cable, preventing damage in the event of a crash. It’s no garage queen, but this seems like a pretty nice example of a very collectable Bavarian bike, the choice of an intellectual rebel with a cause. I’d ditch those ridiculous “CYCLONE” stickers as soon as I could, but otherwise, this looks to be the perfect classic useable classic, combining “sport” and “touring” in equal measures. A very nice bike and great fun to ride hard but those front brakes are no fun. Cable/hydraulic are the worst of both worlds and are a colossal pain toLater Brembos are waayyy better and actually stop you.